Kale is a superfood & a nutrition packed alternative to traditional basil pesto. It tastes fresh & herby with a kick, a great topping on toast, pizza, poultry, seafood or even tossed with pasta. 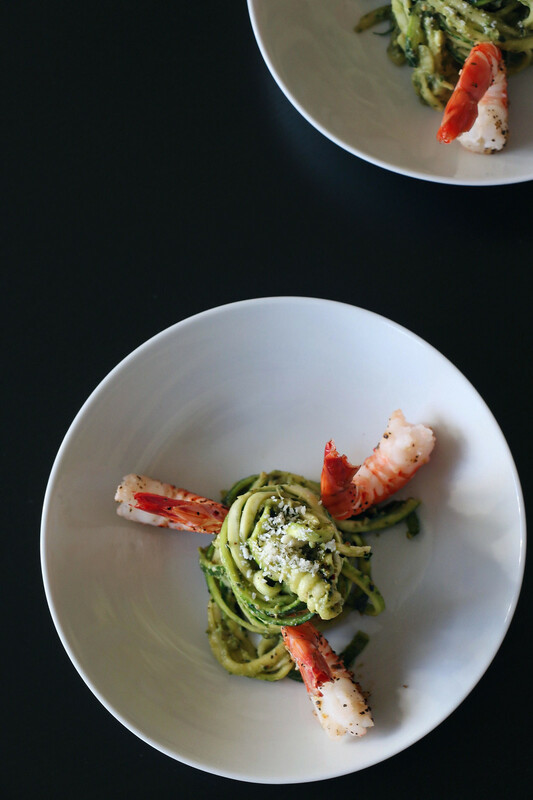 Using a food processor, fresh ingredients, & only 5 mins & presto you have pesto! 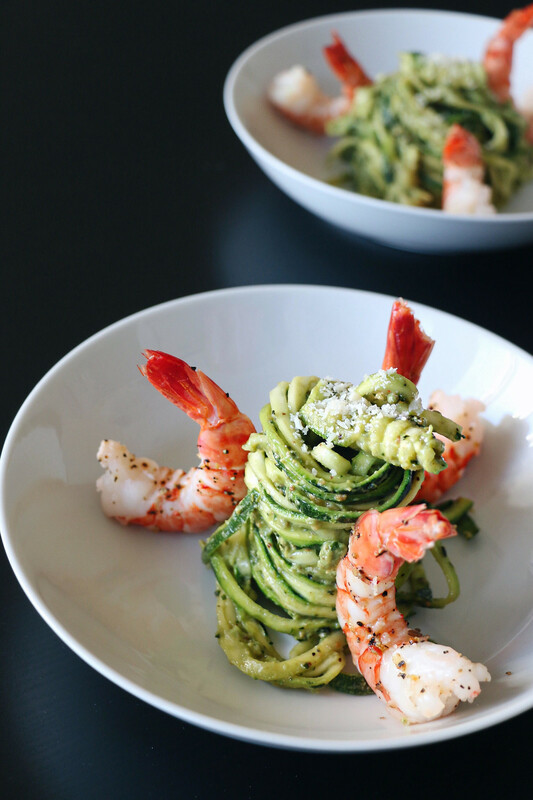 If you've never tried zoodles, this recipe will definitely turn you into an addict. Zucchini has a mild flavour so it easily soaks up any sauce you add to it. 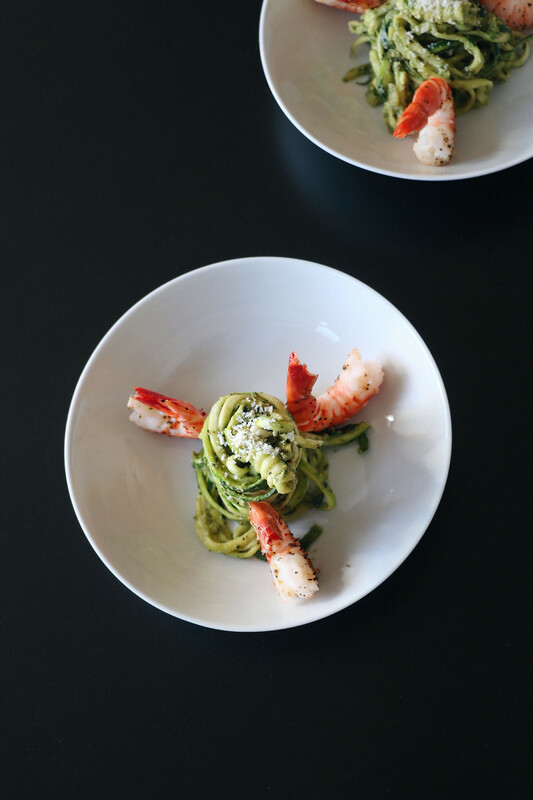 In this case, the zesty kale pesto on zoodles with meaty prawns is a match made in food heaven. 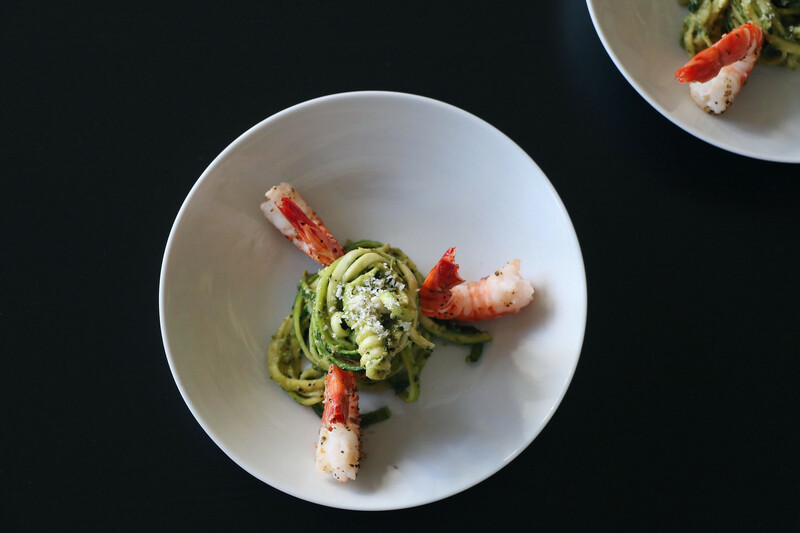 When you're looking to lighten up your diet, zucchini noodles can be a great alternative to pasta. Using a food processor (do not use blender) add kale leaves, walnuts, pecans, basil, parsley, olive oil, black pepper, & sea salt. Squeeze lemon juice into the food processor to keep the bright green color. Kale pesto can be stored in a sealed jar for up to two weeks or even in the freezer. 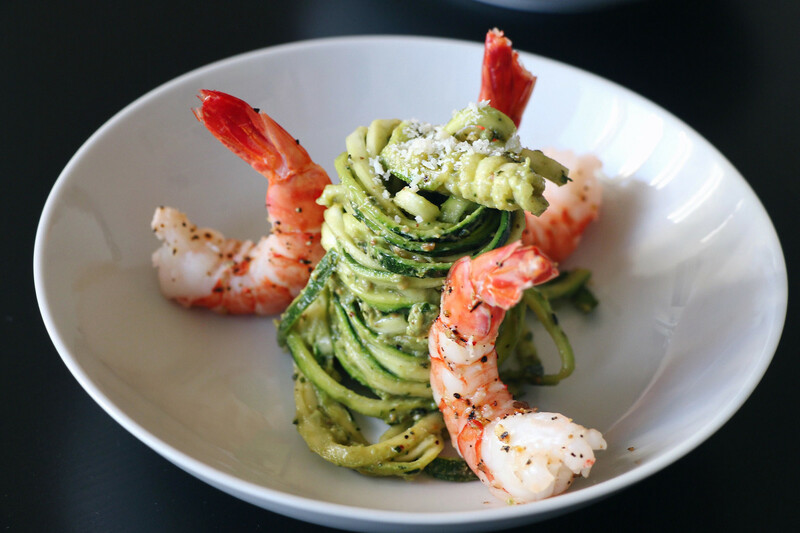 Using a spiralizer (available at Kitchen Stuff Plus) create zucchini noodles. 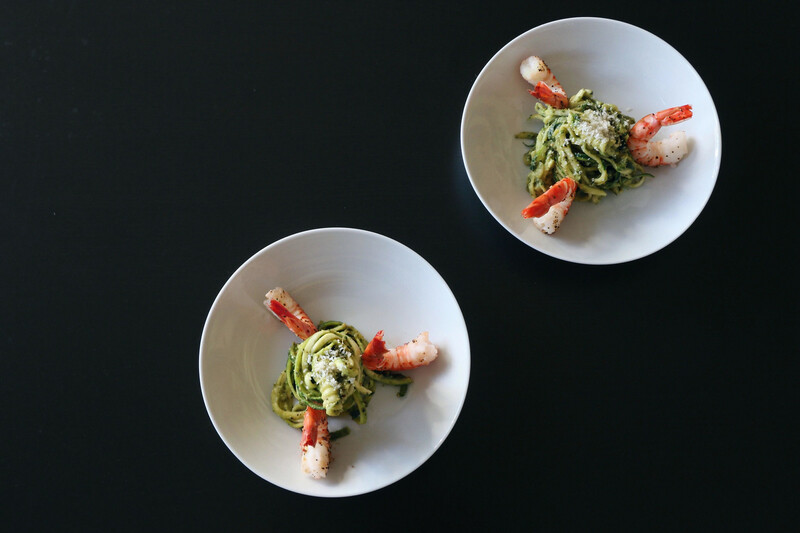 In a saute pan, add prawns, kale pesto, & toss in zucchini noodles. Only cook for 1-2 mins. Top with parmesan, black pepper, & sea salt & enjoy.